Get College Approved Kinesiology Insurance for Only $240 a Year! Kinesiologist Insurance in Ontario, Canada – Made Easy! We provide the same insurance as the CKO (College of Kinesiologists of Ontario) does for Kinesiologists, though our policy has many more benefits. If you have another modality outside of Kinesiology, we can add it to your comprehensive insurance policy at no extra charge for most modalities. Complies with the CKO (College of Kinesiologists of Ontario). Kinesiologists are presented with various kinesiology insurance options soon after their graduation from an accredited college. They can opt for either the OKA policy or apply through any insurance broker. Recent kinesiologist graduates are always on the lookout for a complete insurance policy at the most optimal prices. One of the many benefits of working with kininsurance.ca is that kinesiologists can find insurance policies that are not only membership free, but are also more comprehensive than most other kinesiology insurance options. At kininsurnace.ca you are guaranteed to have more coverages and a wide range of options such as for a sole kinesiologist practitioner. At Kininsurance.ca, our core value is the protection of our insured kinesiologists. In order to make the overall application process easy for you, we have provided an online application portal enabling you to get your kinesiology insurance policy with maximum ease. If you are provided a quote, you are eligible for the coverage. It’s as easy as that. Our prices are specifically designed to be affordable for new kinesiologists. We have our customer call service available to you from 8:30am to 5:00pm daily and you can expect great service from our team of 6 dedicated staff members. We have been insuring kinesiologists for over 5 years now and we provide them with instant college approved certificates. At Kininsurance.ca, we take pride in protecting kinesiologists against lawsuits that may arise. The insurance policy that we offer, is mobile all across Canada with no strict rules such as client age restrictions etc. Our policy coverage is broad enough to meet the needs and requirements for any kinesiology practice. You can be endorsed anywhere in Canada and can benefit from over 365 modalities for nominal fees, thanks to our kinesiology policy. 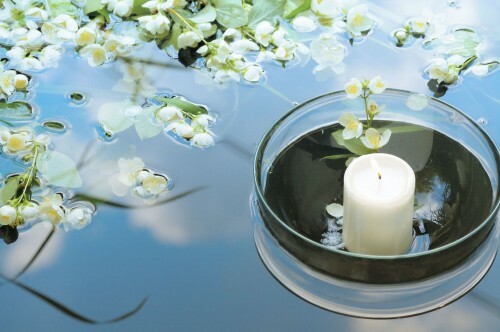 We assure you maximum value and benefits as our trusted clients. You will see these perks as soon as you apply away! Get Your Kinesiology Insurance In Minutes! Thank you for reading our information about Kinesiologist insurance in Ontario. Your career as a Kinesiologist is based on your passion for helping people with their fitness goals. With your Kinesiology degree, you learned about rehabilitation, injury prevention and performance enhancement. At LMI we feel your education and training as a Kinesiologist has pushed you into the upper echelons of a professional advanced career. As a result LMI has created an insurance policy for Kinesiologists that is more comprehensive than the CKO option and requires NO MEMBERSHIP. This has allowed us to pass on the savings of insurance to you, the Kinesiologist. We have created an amazing insurance policy for Kinesiologists in Ontario. We understand the coverages set out by the CKO and have read the insurance policy offered by the CKO. At LMI we specialize in thoroughly understanding your practise as a Kinesiologist, the insurance options available to you and offer a competitive insurance solution. As a Kinesiologist you work with athletes who are more prone to result in an insurance claim. The Kinesiology insurance policy from LMI DOES NOT exclude athletes unlike other polices. Furthermore we understand that your clients might be suffering from an injury, and while providing your treatment, there is a higher chance of injury such as slip and fall. The insurance company is comfortable with this risk as your training should limit this exposure. Finally we have included an insurance coverage that reimburses you in case you have to defend yourself from a tribunal from the CKO. Apply for Kinesiology Insurance today! 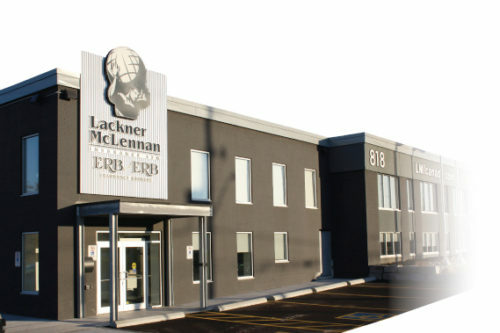 About Lackner McLennan Insurance Ltd.
As an industry leader in protecting alternative health care providers, LMI has extended its expertise and pricing to the Kinesiology field. We at LMI believe Kinesiologists in Ontario are a class of professionals that should benefit from enhanced and cost effective insurance. Over the last several years we have added several hundred satisfied Kinesiologists to our insurance program. This is the same program that protects over 10,000 individuals practicing over 365 modalities across the country. Best of all, LMI is not affiliated with any association so you can save hundreds of dollars a year on membership fees and get better insurance coverage as a Kinesiologist. The staff at LMI have worked with the insurance company to educate them on the professionalism and training you have received to have this designation. In turn, we are pleased to offer a competitive and comprehensive insurance option to Kinesiologists. Knowing that you have access to a CKO approved policy was key and we had great success working with the college at renewal time to make your application process streamlined. We have done thorough research on your options for insurance as a Kinesiologist and we have created the most flexible, comprehensive, policy available to you. The details of the policy and features of Canada’s most comprehensive insurance policy are available on this site. Also remember there is NO membership required to purchase this insurance policy! WoW, It is so great getting your Kinesiologist insurance policy online. Thanks for the reminder about that option.